The Madhya Pradesh government, with technical support from the United Nations Children’s Fund (UNICEF), will start a vaccination drive from tomorrow to immunise infants against pneumonia and meningitis. The Union government’s Sample Registration Survey (SRS), the findings of which were released last year, had put the infant mortality rate (IMR) in Madhya Pradesh at 52 deaths per thousand live births and called it alarming. “We have got 26.11 lakh doses of pneumococcal conjugate vaccine from the Central government. Each costs Rs 3,800 and will be given to infants free of cost,” S Viswanathan, Director, MP National Health Mission said today. “Training of medical officials and frontline staff has been completed and we are in a position to launch the drive across the state,” he added. 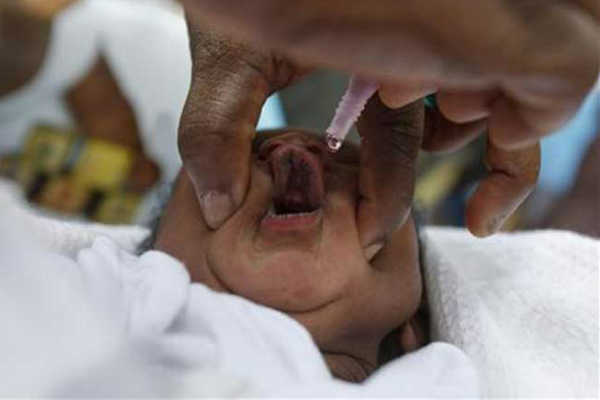 Dr Vandana Bhatia, Health Specialist with UNICEF MP, said that the vaccine would be administered to infants when they are one-and-half months, three-and-half months and nine months old. “The vaccination will cover around 2 million children annually in the state,” she added. According to an estimate, pneumococcal pneumonia kills 13,500 kids in MP every year, she said.